Anyone who has ever suffered with gum disease, will understand how debilitating it can be due to the painful side effects. Periodontal disease (gum disease) are infections that affect structures around teeth, including the gums, periodontal ligament and alveolar bone. Gum disease occurs when the gums become swollen and infected due to dental plaque. Bacteria in plaque, a sticky, colorless film that forms on teeth, causing gum disease. Poor oral hygiene is often a common cause of gum disease. Flare-ups are often a painful sign that can occur, despite undergoing dental work to correct the issue. Many dentists may recommend taking a painkiller to stem the painful symptoms and swelling that can occur. However, painkillers often come with various side effects according to recent studies. Therefore, taking a natural supplement such as Serrapeptase may be a safer recommendation as part of a good oral health routine. Serrapeptase is a naturally occurring enzyme that dissolves inflammation within the body, allowing for its safe elimination. Once the inflammation is gone, any signs and symptoms of pain and swelling are reduced. This means that you can then smile – without pain! “I’d always had good teeth and although I wear contact lenses my prescription hadn’t been changed for years. Some 7 years ago I began to have flare ups of inflammation and bad swellings on my gums. I went for a second opinion and a third and was generally told that I now had a gum disease and, according to one dentist, would lose all my top teeth. Alarmingly I have lost some but very careful work by my hygienist and myself has checked that. However, the flare-ups continued and my dentist began to talk of taking other teeth out. I decided to talk to Robert and David to see if there was anything I could do. They suggested a regime of 3 capsules of Serrapeptase chewed each day; Co Enzyme Q 10 capsules, Curcumin and probiotics. When I told her about my supplement regime she agreed that enzyme therapy is an accepted procedure. For best results, it’s recommended to take Serrapeptase capsules or tablets as part of a dedicated Periodontal Disease Health Plan. The recommended dosage is to take 1 capsule, 3 times a day, 30 minutes before each meal. This helps to clear any pain and inflammation. 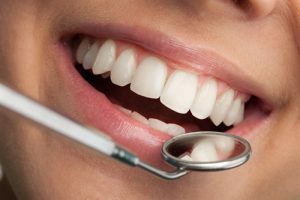 Following a specific oral health regime as outlined by your dentist is also beneficial too. Using rubber spiral brushes can help to clear food between teeth after brushing. Finish off your oral health routine by using mouthwash or hydrogen peroxide (5%) to swish through the teeth and gums for 2 minutes for a fresh mouth. 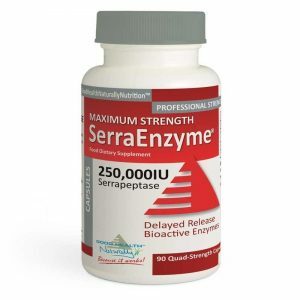 SerraEnzyme™ 250,000IU – Serrapeptase is a naturally occurring proteolytic enzyme that can help to dissolve inflammation and dead scar tissue within the body. May help to support the body’s natural healing processes and provide pain relief for various symptoms due to its anti-inflammatory mediators. Recommended to take as part of your oral health routine. Available from Good Health Naturally.